Winning a competition can be a quick launch pad to career success and fulfillment—but so can losing. Here are the stories of behind five competitors, each now at the top of his or her field. In our previous Competition Guide, we profiled singer and multiple-competition-winner Jamie Barton; this time, we turn to instrumentalists and a conductor. The following article also appears in the Musical America 2017 Guide to Top Competitions. “As a conductor, the moment you walk onstage, you’re being judged by all the orchestra musicians. You either get them or lose them in five minutes” (not to mention winning over the jury and the audience). Such were Elim Chan’s challenges in 2014, enroute to becoming the first female winner of the Donatella Flick Conducting Competition, leading the London Symphony Orchestra in rehearsal and concert. Born in Hong Kong, Chan attended Smith College and the University of Michigan, where she was still in grad school when she entered the Flick. 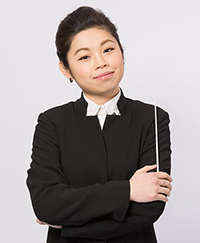 The biennial competition appealed to her because it seeks conductors with little professional experience; the prize is a chance to gain seasoning as assistant conductor with the LSO for one year. The players have a say in the result. The turning point for Chan came in the break between rehearsals, when orchestra members came up to talk with her. She had felt uncomfortable in slow passages in Scheherazade, thrown by the orchestra playing behind the beat. But the musicians encouraged her. “They told me not to wait for them in slow music, just go ahead and do my thing, and they’d be there for me. A cellist said, ‘Don’t try to impress us. We’re the LSO. We play for (Valery) Gergiev, we play for (Bernard) Haitink. Just be yourself up there.’ That was the moment I started to feel more free. beginning with the 2017-18 season. Larson’s preference for solo performance has served him well in competitions. 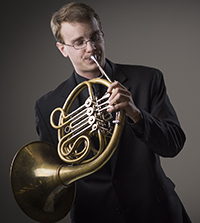 Most recently, he won the $2,500 first prize in the professional division of the International Horn Competition of America (IHCA), held at the University of Nebraska-Lincoln in 2015. A participant in IHCA since high school, he has long appreciated its educational focus. Candidates who don’t pass on to the next round are encouraged to meet with judges and discuss their playing, unlike some competitions that prohibit interaction with the judges. Thanks largely to her Cliburn win, Beatrice Rana is a busy international soloist, currently gracing major stages in London, Paris, Berlin, and her home base of Rome. It was a dimension that was a long time coming. “My first competition was when I was five years old,” she recalls. “My parents are both pianists and they thought it was a nice opportunity to play for a couple of minutes in front of an audience.” She went on to enter and win competitions around the world, although competing was never the point. The Cliburn was Rana’s swan song to competitions, since she now has a career. This season she’s on an international recital tour with Bach’s Goldberg Variations, and her debut CD—Prokofiev’s Second Piano Concerto and Tchaikovsky’s First with Antonio Pappano and Orchestra dell’Accademia Nazionale di Santa Cecilia—was named recording of the month by BBC Magazine. Sebastian Stevensson has an impressive record in international competitions, but when asked which of them was most helpful to his career, his response is surprising: “The one that went the very worst,” he says. It was the 2013 Munich ARD International Music Competition, Germany’s largest competition, whose instrument categories vary from year to year. The ARD had been his very first competition, when he was 21, and that time he had been the youngest candidate to make it to the second round. By 2013, he not only had more competitions under his belt and had improved as a player, he was principal bassoon with the Danish National Symphony. Stevensson, from a prominent musical family in Sweden, had spent almost a year preparing for the 2013 ARD. “I practiced so much on the competition repertory and technical passages that I became a bit stiff. I was too focused on not making mistakes, which is dangerous…. [You should] focus instead on bringing a special atmosphere or special sound to a piece. That draws the listener in, so that, if you do make a mistake it’s not so disturbing. Letting go enabled him to move on to greater success. 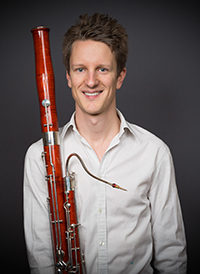 He won the $10,000 first prize in the Gillet-Fox Bassoon Competition in 2014, the concluding event of the International Double Reed Society convention when it was held in New York City. Performing Hummel’s Bassoon Concerto with the Orchestra of St. Luke’s was among the prizes. Next came the 2016 Swedish Soloist Prize, winning against a pianist and a violinist in the finals, making him artist-in-residence with the Swedish Radio Broadcasting Union. He also won an audition for principal bassoon of the Munich Philharmonic, a position he held for a year before deciding he preferred living in Copenhagen. Suggs, who studied at Northwestern and Yale universities and now teaches at James Madison University, does indeed possess eclectic musical talents. They range from playing jazz piano and accordion to writing a scholarly paper on cadenzas in Mozart piano concertos, but it is as a double bassist/composer that he has made his mark in competitions. 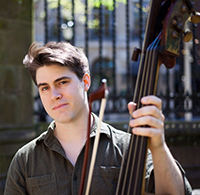 In 2015, he received the $2,500 Gary Karr Prize for placing first in the International Society of Bassists Solo Competition [and was subsequently chosen as New Artist of the Month by Musical America]. Then the next year he was named the Concert Artists Guild’s New Music/New Places Fellow at the CAG International Competition. At both events, he played some of his own compositions. He chose Daft Punk Chaconne, inspired by French electronic music duo Daft Punk’s dance hit Around the World; and Concerto After Haydn, his realization of a lost Haydn Concerto for violone, a forerunner of the double bass. “I think these entirely new pieces were really refreshing to the jury,” he says. For standard repertoire, he looked for relatively unfamiliar works while keeping the bass’s physical demands in mind. “Every competitive bassist plays a piece by Giovanni Bottesini,” he says, “so I looked for one of his lesser-known works.” Otherwise, he says, “the judges might have preconceived notions or expectations of how the work should be performed. They might be thinking, ‘Well, you played it fine, but I’d have done it faster, or slower, or I would have started with the up bow instead of the down bow.’ You want them to be thinking of the music you’re making and not the decisions you’re making. “That was key for me, to think of the jury not as a panel but as an audience I needed to engage with.” So he ended up with Bottesini’s Gavotte, instead of one of the concertos. Clearly, it was the right move.